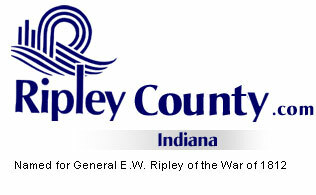 The Ripley County Council met on April 16th, 2007 at the Ripley County Annex in Versailles, Indiana. Dephane Smith, Council Vice President called the meeting to order promptly at 7:00PM with the pledge of allegiance to the flag. Council Members Dephane Smith, David Simon, Ben Peetz, Edward Armbrecht, Mark Busching and Juanita Kaiser were present for the council meeting. Donald Dunbar was not in attendance. Council Member Kaiser made a motion to approve the minutes as corrected from March 1st, 2007 Council meeting seconded by Council Member Armbrecht. Motion approved by Kaiser, Simon, Peetz, Armbrecht and Busching. Dephane Smith abstained. Dunbar was not present. Council Member Simon made a motion to approve the additional appropriation of $7,000 from fund #611-35275-000-611/Endowment Fund for non profit organizations Show Mobile rental seconded by Council Member Kaiser. Motion approved unanimously. Commissioner Reiners presented a request for an additional appropriation of $20,000 Fund# 201-28600-000-026/Highway Dept for additional salt (needed due to extreme weather conditions). Council Member Armbrecht advised that it was hard to approve an additional appropriation when the Highway budget is already $285,000 over the projected revenue. Council Member Armbrecht made a motion to table to the next meeting in May seconded by Council Member Peetz. Motion approved unanimously. Council Member Armbrecht made a motion to approve the additional appropriation of $13,693.22 Fund# 508-32770-000-052 SISWD for SISWD expenses seconded by Council Member Simon. Motion approved unanimously. Council Member Kaiser made a motion to approve the additional appropriation of $408.65 Fund #441-33425-000-441 EMS Grant/EZ IV Training Kits seconded by Council Member Peetz. Motion approved unanimously. Council Member Armbrecht made a motion to approve the additional appropriation of $38,031.50 Fund #294-44600-000-294 HAVA Title III Non-Reverting Fund for 1 Accuvote OS Tabulator and 5 Accuvote TSX & Equipment seconded by Council Member Simon. Motion approved unanimously. Tad Brinson, Area Planning Commission presented an additional appropriation of $10,813.80 Fund # 100-15601-000-015 County General/Assistant Building Inspector (to make position full time employee due to additional work load from the expansion and development occurring in the county. After a long discussion Council Member Kaiser made a motion to approve $5,000 as an additional appropriation for the part time position seconded by Council Member Busching. Motion approved by Busching, Kaiser, Peetz, Smith and Simon. Council Member Armbrecht voted against. Council Member Simon made a motion to approve the additional appropriation of $1019 Fund # 425-36480-000-050 Workman’s Compensation (to appropriate funds for workers compensation not put in the 2007 budget) seconded by Council Member Armbrecht. Motion approved unanimously. Council Member Armbrecht made a motion to approve the additional appropriation of $945 Fund#425-38701-000-050 Rental Deposits/ to appropriate deposits in 2006 seconded by Council Member Peetz. Motion approved unanimously. Council Member Kaiser made a motion to approve the additional appropriation of $1,950.90 Fund# 506-43101-000-506 Ripley County Community Foundation /Tartar Foundation Grant to purchase and install items for park seconded by Council Member Simon. Motion approved unanimously. Andrea Ingmire, Osgood Public Library Director presented Library Capital Projects Plan for 2008-2009-2010 and a Resolution of Appropriate Fiscal Body of Action on Library Capital Projects Plan for the Osgood Library. Council Member Simon made a motion to approve the Resolution presented seconded by Council Member Kaiser. Motion approved unanimously. Judge Carl Taul updated the Council Members concerning his office to date and advised that Christy Sams had left and that they were not going to fill that position. Money will go back to the county. Taul advised that the three cases hanging out there were settled in May. Shannon Schmaltz, Probation Officer reported that he had lost Christy Sams and was not filling that position. Schmaltz advised that the county will contribute $15,700 for the Adult Probation Officer and remainder will come from the Probation Fees. Schmaltz also advised that his office will need a new copier and last copier was purchased in January 1998. Attorney Comer updated the Council on the new water district that the Commissioners are working on forming with Jennings and Decatur Counties. This will be a good source of water for the counties involved. Attorney Comer advised that there will be a nine (9)member board (1 by Commissioners, 1 by Council, 1 by joint County & Council) Attorney Comer presented a Resolution and Interlocal agreement to the County Council for review. Council Member Armbrecht made a motion to approve the Resolution/Authorizing the Formation of a Regional Water District with Decatur County and Jennings County seconded by Council Member Kaiser. Motion approved unanimously. Council Member Peetz made a motion to adopt the Interlocal Cooperation Agreement between Decatur, Ripley and Jennings Counties, State of Indiana (effective upon execution and terminates December 31st, 2007) (appropriate and contribute $5,000 toward start up) seconded by Council Member Simon. Motion approved unanimously. (Commissioners will pay $5,000 out of the EDIT Fund). Tammy Borgman, Ripley County Recorder updated the council with information on a new fund called County Identification Fund and will need to be established by January 2008. Borgman advised that they will collect $2.00 for every document that they record and money collected will go into this fund. Borgman advised that starting in January 2008 she can not receive any document or give to the public any document that has a social security number on it due to identify theft. The recorder’s office will be going with a new computer company effective July 1st, 2007. Borgman also advised that due to budget for 2008 she would like to change her full time clerical to a third deputy and that the computer service will be approx. $40,000. Shawna Bushhorn, Ripley County Assessor advised the Council that she would like to change the Reassessment rate to start in 2009. Next reassessment will start in 2009 and be effect in 2011. Bushhorn advised that she had talked to Bob Harris, Budget Director of the DLGF that all that is needed is to present a letter signed by the Assessor and the Auditor. Tom Grills, Ripley County Sheriff advised that he needs more jailers or they need to raise salaries at budget time and advised that he has a grant in for the purchase of two new cars. Sheriff Grills advised that they have approximately 70 plus inmates in the jail at the present time. Surveillance software needs to be updated. Council member Simon made a motion to approve the 2007 schedule for council meetings seconded by Council Member Peetz. Motion approved unanimously. Council Member Simon made a motion to have the 5% distribution from the Ripley County Quality of Life Improvement Fund of $12,001.81 sent back to the county for the Endowment Fund seconded by Council Member Kaiser. Motion approved unanimously. Solid Waste District- Donald Dunbar-Commissioner Nickell updated council on the new building at the highway garage for solid waste. Welfare Committee-Juanita Kaiser –Met with Melissa Norman and Judy Steel and updated Kaiser. Council Member Peetz made a motion to adjourn until the next meeting on Monday, May 21st, 2007 @ 7:00PM seconded by Council Member Kaiser. Motion approved unanimously.